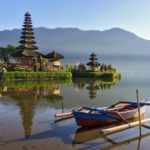 My trip to Bali blog — My first real vacation in Bali - Living + Nomads – Travel tips, Guides, News & Information! One of the hardest things to explain to people as a full-time travel blogger is that my life is not a 100 percent perfect perpetual vacation. 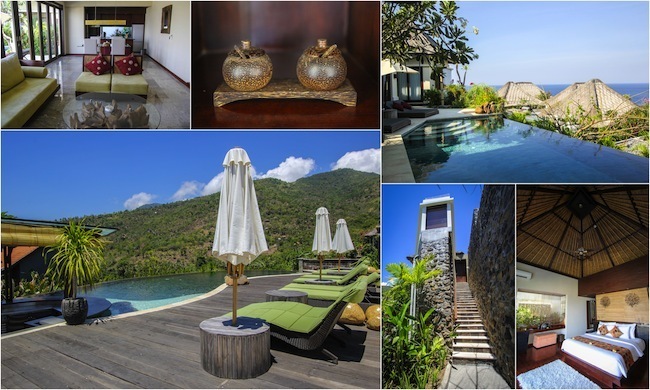 Let’s explore my trip to Bali blog — My first real vacation in Bali below. While I’m getting to follow my dreams and turn my passion into a profession – invited to explore the most amazing places, and even get paid to travel – I do have to pinch myself sometimes and remember that my hard work is finally paying off. That being said, it’s not always what it’s cracked up to be. The past few months I was starting to feel unbalanced and even a bit overwhelmed with travel, but the worst part was that I was starting to feel that my blog was shifting from passion to obligation, something that terrifies me. 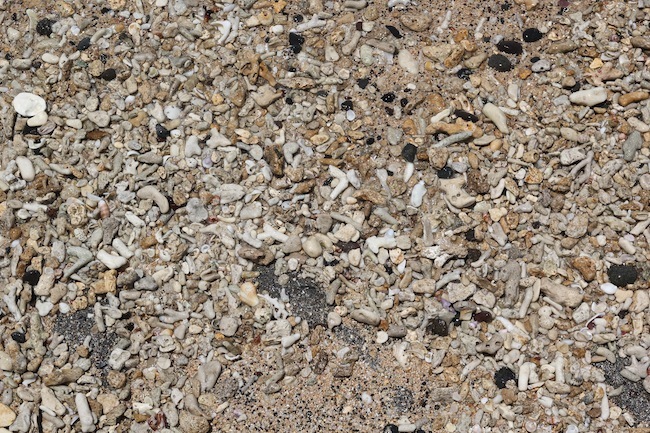 In my opinion, as soon as a blog becomes more work than fun, it starts to DIE. Heaven help me! With this in mind, I spontaneously decided to stopover in Bali on my way back to New Zealand from Mongolia for 10 days. On my own dime. Just for me. While I’ve been able to travel to my dream spots over the past few years, almost all of them had several work-related aspects weaved in, and without exception, ended up stressing me out and weren’t a proper vacation. Gone were the days of sleeping in, reading by the beach and having no obligations whatsoever. As wonderful as Mongolia was, I knew it was going to be intense and hard work, and I would need some recovery time before coming back to reality in New Zealand. And as soon as I realized it was actually cheaper to fly home via Indonesia than directly from Hong Kong, I was sold. 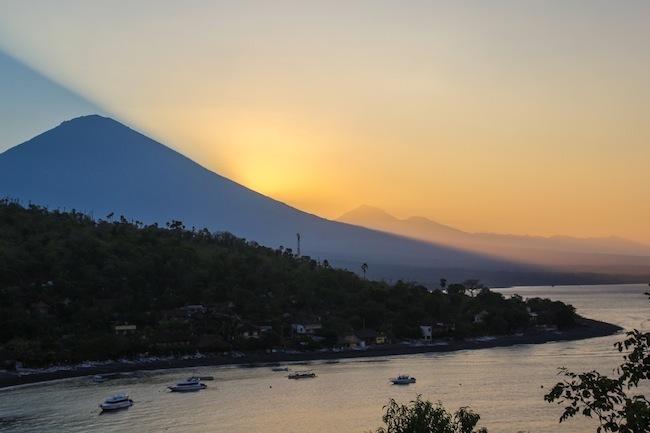 Before stepping on that plane, I knew one thing – I didn’t want to be a tourist in Bali, trying to check activities off a to-do list and feeling the pressure to do and see as much as possible. I just wanted to relax! So I decided to take it slow, not plan anything in advance, and go to chill spots where I could actually have time to relax and enjoy myself. 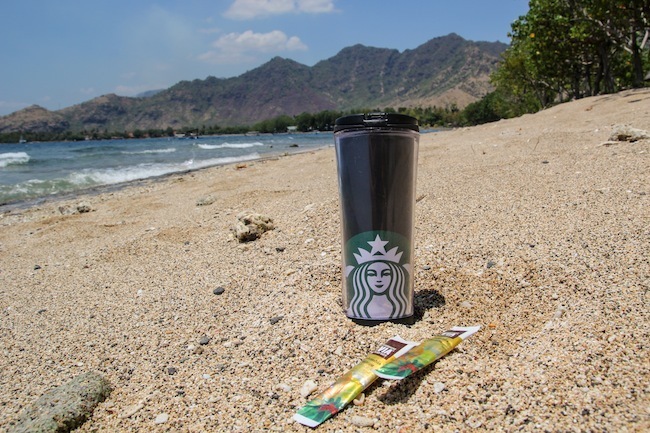 I only wanted three things – go diving, sit on a beach and eat Balinese food. This trip would be different than the others – this trip would be perfect. I almost didn’t even want to take my camera with me, but let’s not get too crazy here. Eventually I decided I would bring it along but not force myself to go out looking for shots to take or schedule my day around sunrises or sunsets. If a beautiful moment happened naturally and I felt like taking a picture, I would, but if not, I wasn’t going to force it. 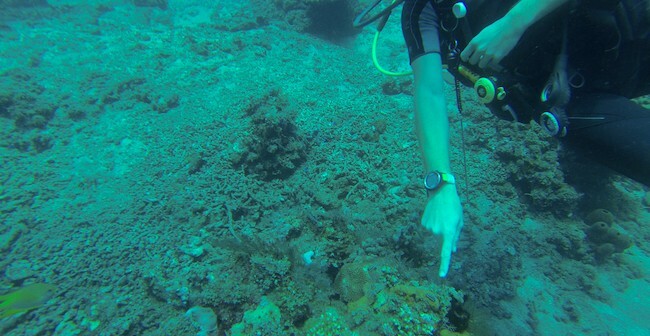 I ended up only taking it on 3 of my 8 dives, and used it about 3 days of the trip, the rest of the time it was kept hidden away in my bag, and it was so liberating! I feel like this is a good mental shift to go through as a blogger and self-proclaimed social media addict. 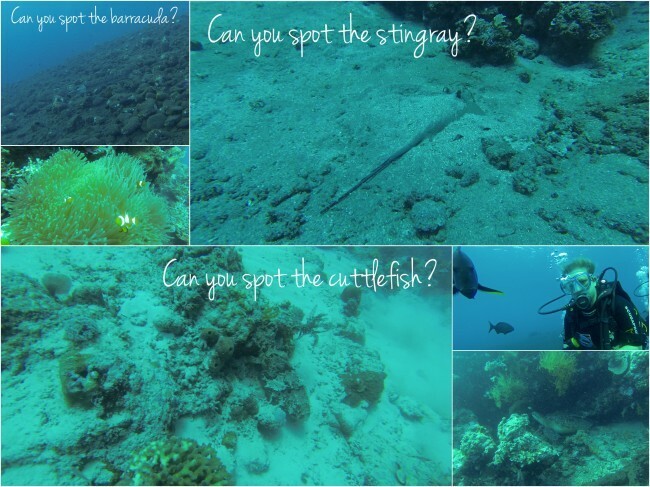 I fell in love with diving this year on my first trip to Queensland, Australia, and since I got my PADI open water certification, I have been itching to get back into the water as often as possible to improve. 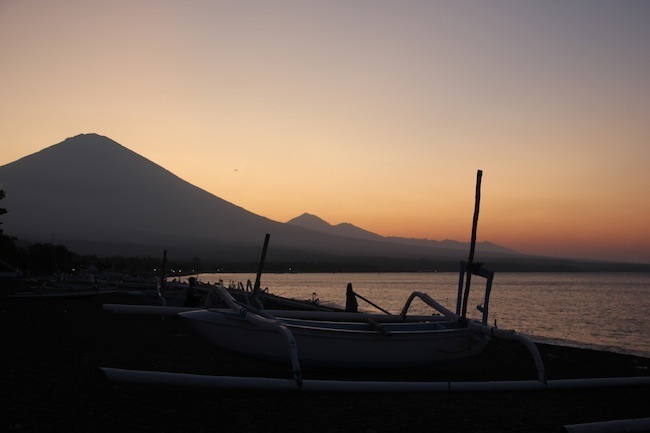 This was probably my main reason for stopping over in Bali, and after doing some research I settled on Amed as my first dive spot. 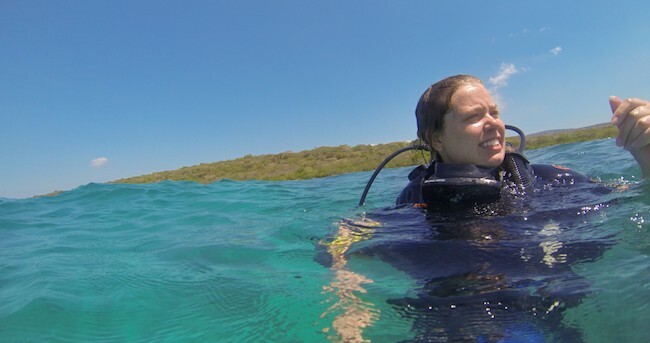 I knew I was going to tug on a wetsuit and jump in as many days as I could on the trip. 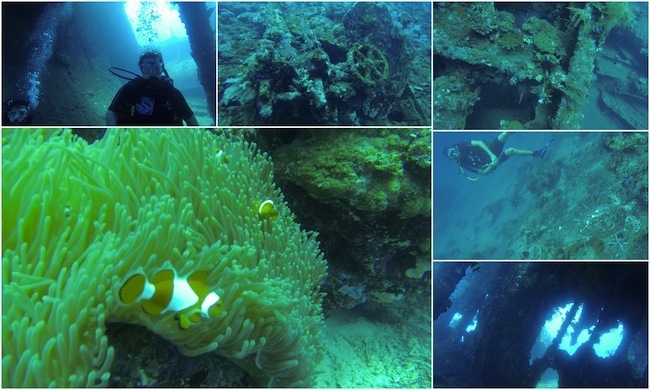 With easy to access dive sites, calm currents and awesome reefs, this was going to be a great place to improve. After doing some research on Tripadvisor, I settled on Adventure Divers Bali, and wandered into their shop/homestay as soon as I arrived in Amed. They blew me away. I signed up for 4 dives over 2 days, and couldn’t have been happier. 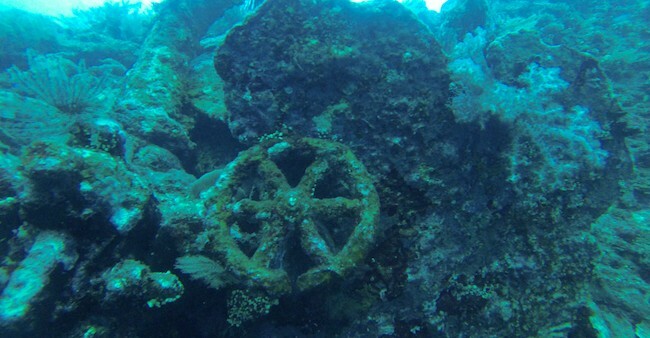 Both days we did dives off the beach around the amazing coral reefs in Amed and the second day was a dive around the USAT Liberty wreck, a US army cargo ship torpedoed by the Japanese in WWII. After a brutal 4:30am wake-up call, we were geared up and making our way into the water just as the sun was rising in the distance. It made for a beautiful and memorable morning. 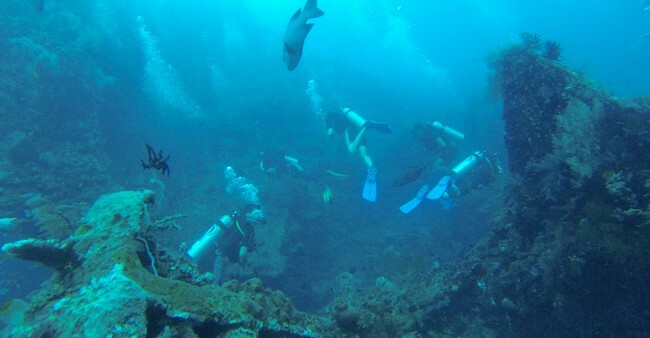 As it’s one of the most popular dive sites in Bali, the earlier the better, and by the time we had a coffee break and got back in for the second dive, it was so crowded I almost felt like I was jostling the other divers to get anywhere. I’ll take this opportunity to thank the diver who descended on my head and knocked me into coral, scraping my leg and leaving me with a very attractive scratchy rash that is only starting to fade 3 weeks later. 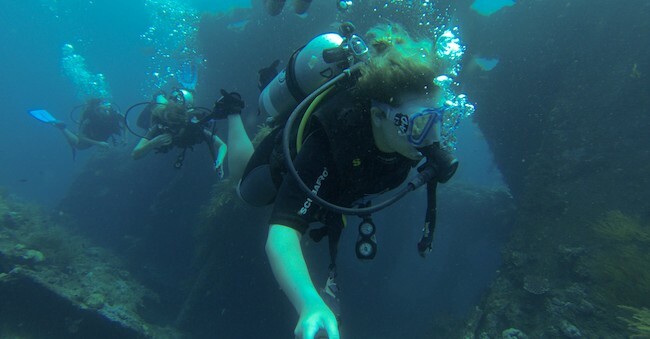 That being said, all of the dives were amazing and I fell in love with the undersea world over and over again. But the absolute highlight of the trip was getting to see a couple of mantis shrimp, which if you haven’t read the Oatmeal’s take on it, please go do it now as it’s the best thing that has ever graced the internet. 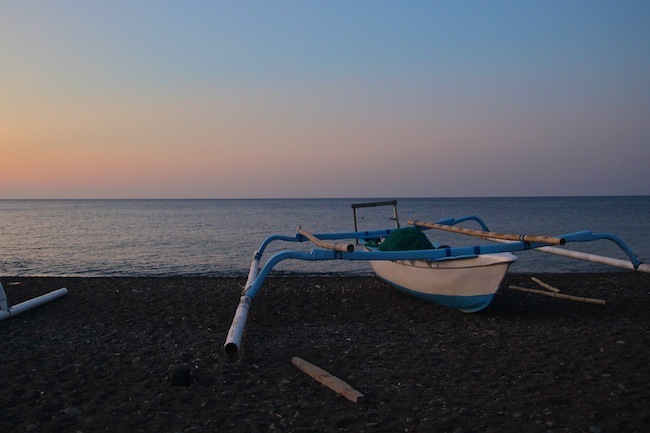 Initially I was planning to boat over to the Gili Islands from Amed and relax for the rest of the trip, but I was on such a high from diving, I decided to stick to mainland Bali. 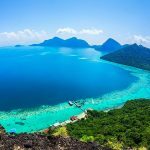 After hearing from one of my taxi drivers about a place called Menjangan Island, a national park with epic dive sites, I was determined to head over and check it out instead. 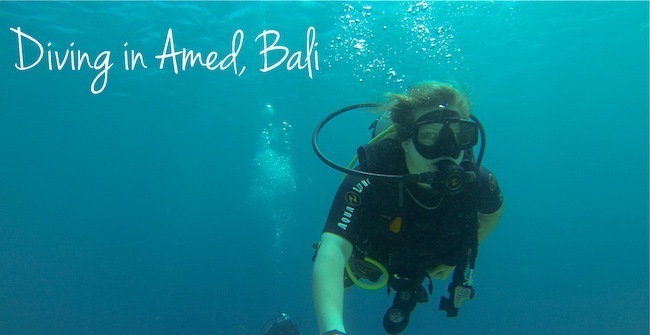 I’m glad I did because like Amed, Pemuteran, is another hidden gem in Bali, and still relatively undiscovered. While the south around Kuta and other areas are getting more and more industrialized and overrun by tourists, these two areas still feel very relaxed and calm. Just what I was looking for. 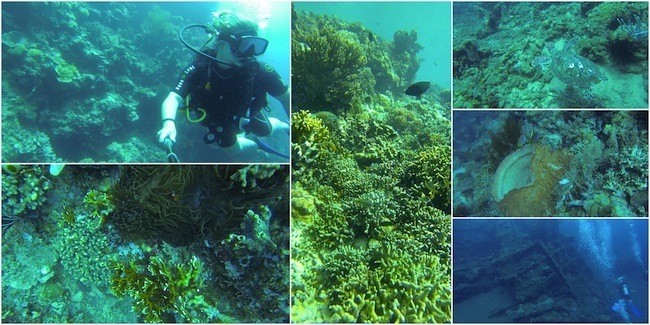 Getting over a seriously inconvenient bout of food poisoning, I only went diving once in Pemuteran, but it was amazing. I also did my first boat descent, tipping over backwards from the side of an old wooden fishing boat into the clear water below. After three weeks of seriously roughing it in Mongolia (think no showers, no toilets, no warmth ever and no electricity) I knew as soon as I got to Bali, I was going to treat myself to a little pampering. We need to splurge while on the road every once in a while. 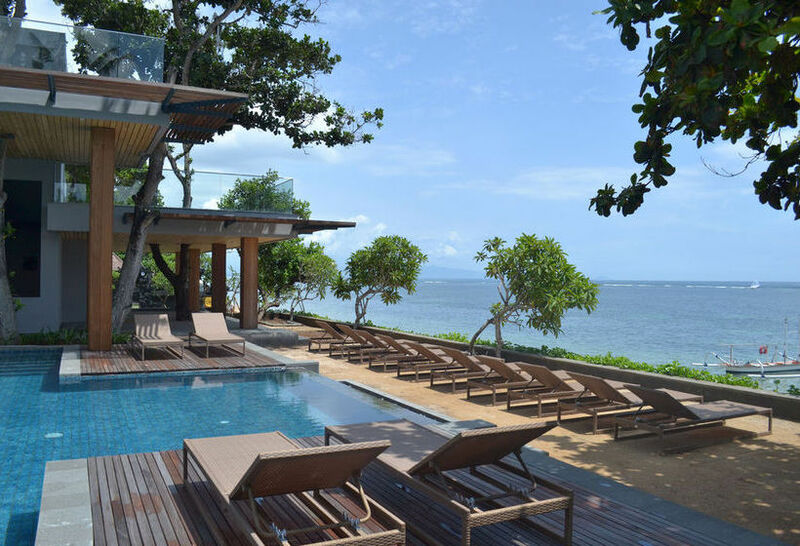 Bali is a great place to pamper yourself because it’s still very cheap compared to the rest of the world. Knowing I would head straight to Amed from the airport, and since it’s still a small town and hasn’t exploded in tourism yet, I knew this would be my place to recoup. I was excited to finally have some affordable luxury. 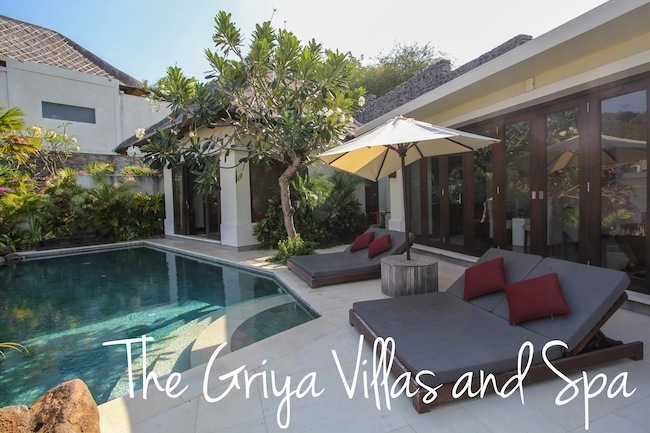 After a little searching around online, I found The Griya Villa and Spas in Amed, just where I wanted to go. 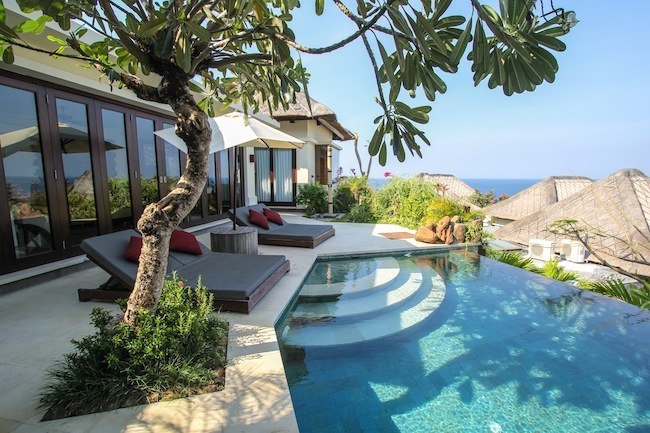 Did I mention the villas have their own private infinity pools? Considering I was spending less than $20 a day on accommodation on the rest of the trip and the fact that I hadn’t even had a shower in almost a month, I was ready to finally treat myself and desperately to have a vacation. After the Griya found out about this little old blog, I ended up getting invited to stay (full disclosure, please don’t hate me), so I decided to be a smart saving grown-up for once and saved the monies I would have spent on a villa, and instead blew it on spa treatments, room service, the mini bar and more room service, instead. After a long day of diving, I caught a ride to the Griya from the dive shop on the back of a scooter, what would become my standard form of transport in Bali. So much fun! 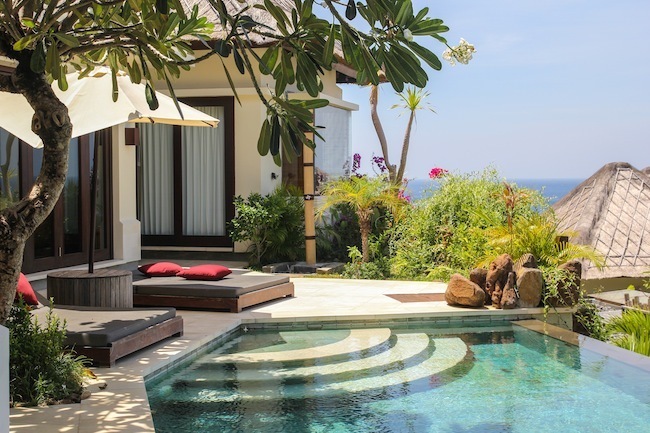 After being greeted with a cool drink by one of the many pools, I was whisked away to my palace, I mean villa. Greeted by a beautiful private stone staircase leading up to my rooms (plural, please note), I managed to maintain a straight face and keep it together until the porter left before having a massive dance session to Taylor Swift and then jumping in the pool. In just my undies. You know, because it was my OWN pool! Holla! (yes, I did just write holla). Knowing that my main priority in Amed was to relax and just enjoy being somewhere beautiful and warm, I spent a lot of time at the Griya. 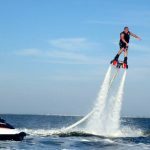 There are many reasons I don’t often delve into the mysterious realm of luxury travel but they usually fall into the categories of unattainable, alienating and annoying. But once in a while seems fine to me. Often I find the more stars a hotel has, the more sterilized, white bread cookie cutter it is, and that is not a travel experience I am a fan of. I like quirky, I like local, I like authentic, isn’t that why we travel in the first place? 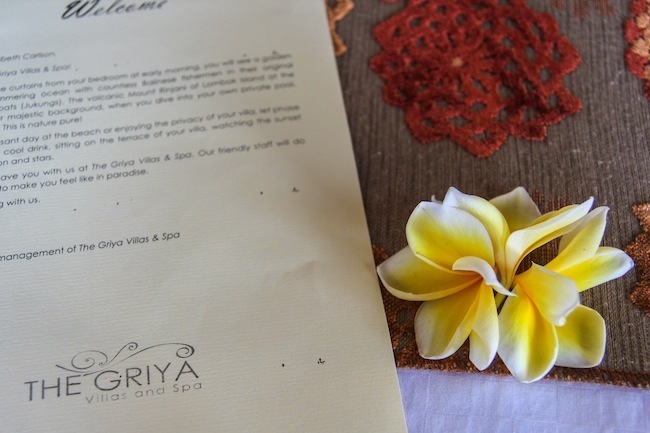 In fact, that’s one of the main reasons I was so keen to share my experience at the Griya on my blog. 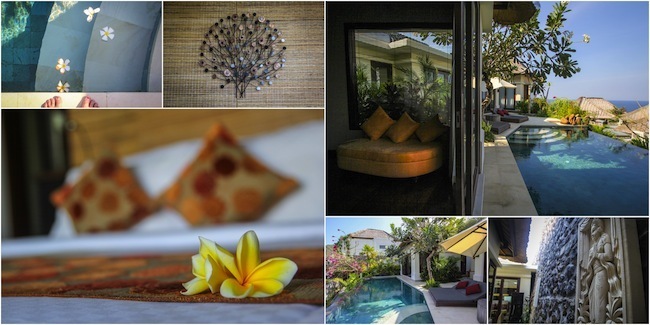 It was affordable luxury with a full Balinese staff running a place that actually felt Balinese. 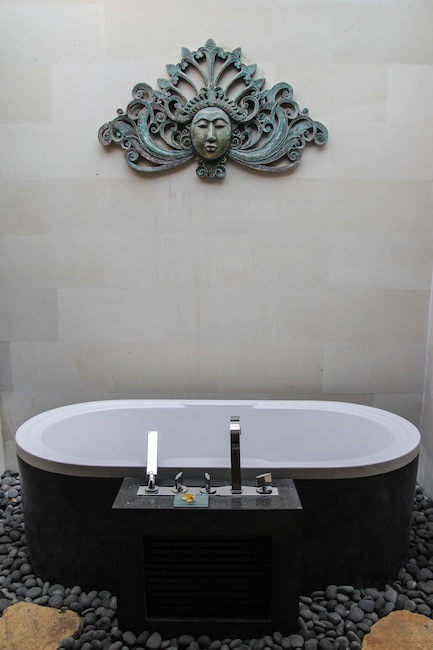 All of the art was local, every little touch reminded me that I was in Bali, on a dream holiday! Also everyone was incredibly friendly day after day. I was so excited to finally get to visit Bali, a place I had been hearing about for years and one I never knew when I’d actually make the trip to visit. Did you know I had never been to Southeast Asia before this? 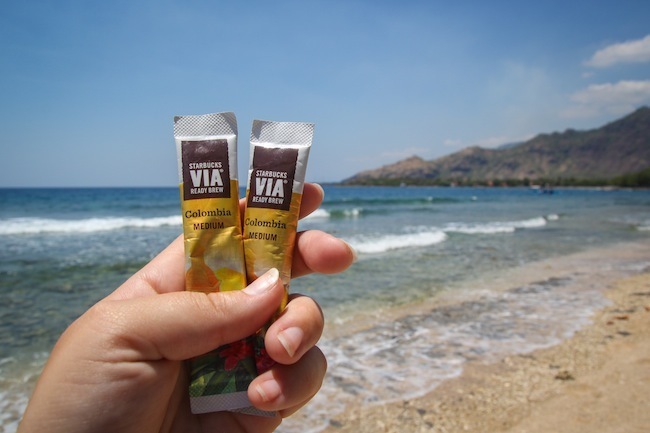 If you’re tuned into the travel and backpacker scene, you might find this surprising. SE Asia is usually the first stop for college kids and budget backpackers looking for world adventures since its super, super cheap. Unfortunately, all of the not-so-fun stereotypes come along with it. Lately I’ve felt like that whole backpacker party scene has passed for me, and it’s not one I am keen to revisit ever again if I can help it. I’m too old for that now. After hearing that Bali is not only a backpacker haven but also the playground for drunk Australians looking for a cheap tropical holiday, I was more than a bit nervous. After taking all of your guys’ advice you left me on Facebook, I skipped Kuta and the south entirely and headed to the east and north in an effort to escape the crowds. Even though I told myself I was on vacation and not working nor being a “super tourist” trying to cram in as many activities as humanly possible, my curiosity got the best of me, and I found myself seeking out locals as often as I could to try to learn more about Bali. 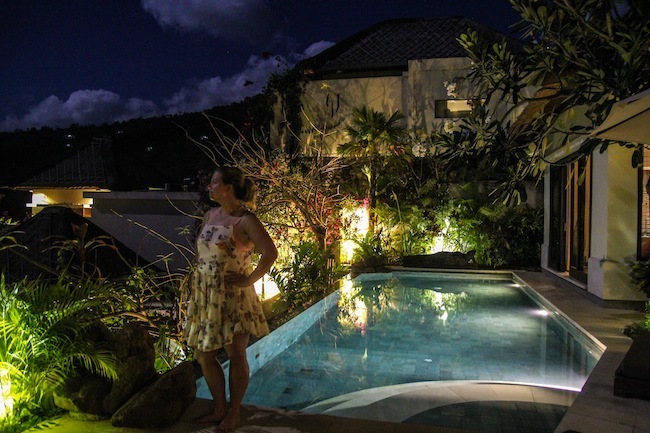 While it’s really not hard to meet locals in Bali if you actually try – the people there are really friendly and welcoming – but one of the best ways I found to get to know people was by staying in homestays. 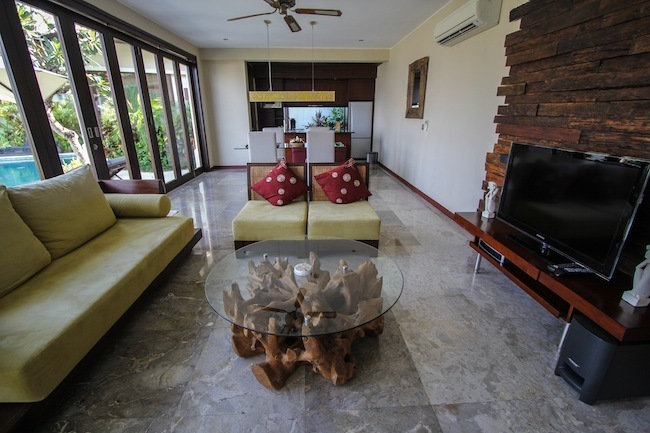 Similar to a B&B, homestays are a cheap and awesome way to travel around Bali, and also a convenient way to avoid the backpacker scene. 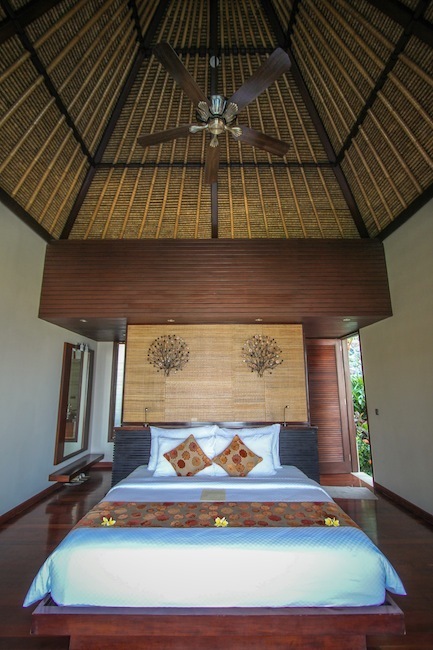 While many B&B’s around the world operate on a more commercial, distanced level, the homestays in Bali are just what they say they are, staying in someone’s home. Literally. My favorite homestays were the ones with just 2 rooms and where you were greeted by the family, spending time with them during your stay. 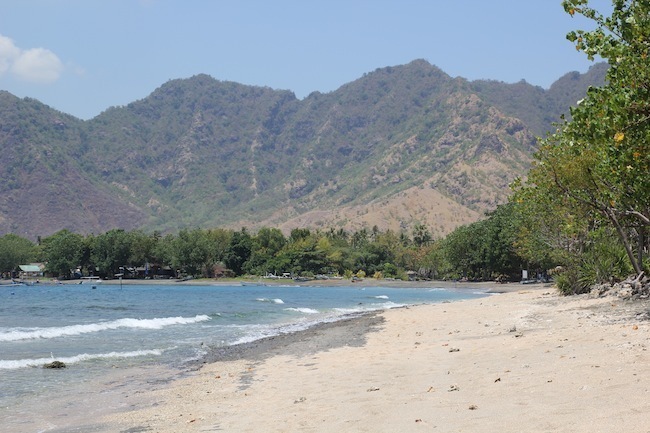 I ended up sticking around Pemuteran for longer than I intended, discovering a magnificent homestay right on the beach. 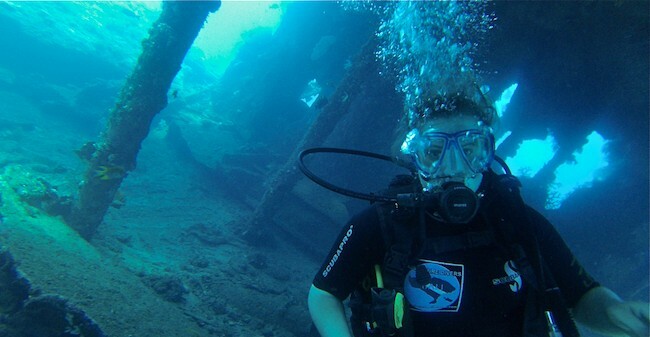 After two awesome solid days of diving, I decided to just relax for a while. Instead of packing my days with activities and excursions, I stuck around the home, playing with the kids, bonding with the son who was around my age and who gave me scooter rides around town, and napping in the sun. Rough times. It was in these small moments where I really start to learn and be interested in modern Balinese culture. 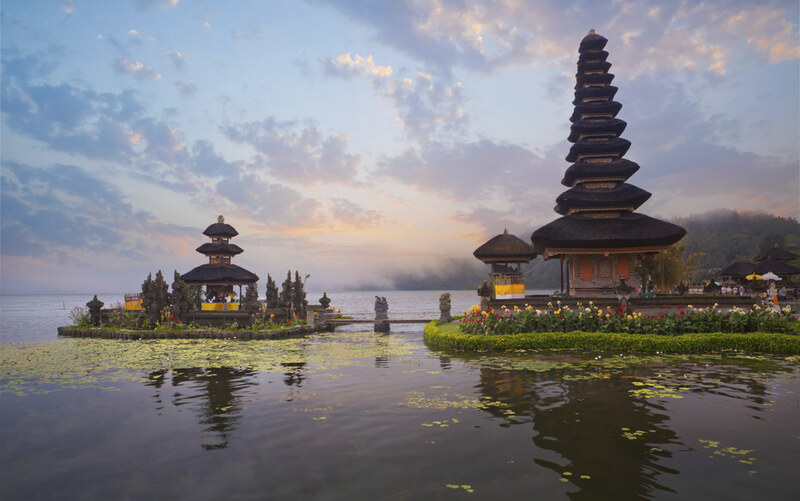 From having delicious homemade banana pancakes drizzled in honey for breakfast to chatting with the family in the courtyard in the afternoon and visiting the local neighborhood temple next door, it was a surprisingly easy way to get to know life in Bali. And like with so many cultures around the world, life in the home with guests revolves around unflinching hospitality. 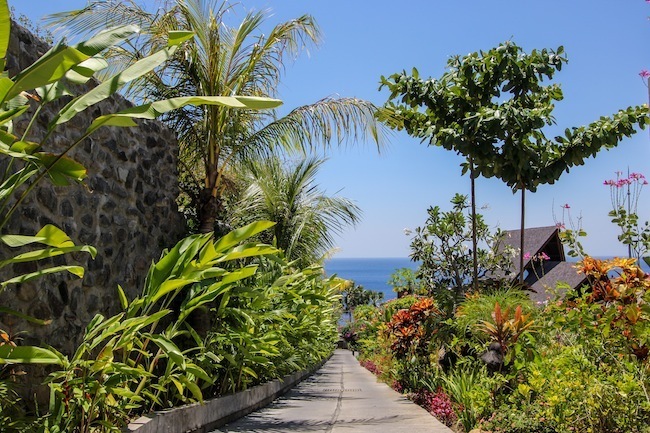 After receiving a welcome drink of rice tea, I started to get to know Wayan’s family and a little more about Balinese culture – including the importance of all of the elaborate temples and good snorkeling and dive sites around the island. In exchange for his hospitality, the next day I offered him one of my Starbucks VIA® Ready Brew coffees to try. In a culture where hospitality reigns with the elder and homeowner to boot, I could tell he wanted to say no at first, but luckily Wayan’s curiosity won out, and he was game to give a taste. Leaving our sandals on the porch, we wandered over to the beach with our coffees while I peppered him with questions about his family and how Bali is changing and what he sees for the future for Pemuteran (I’m not one to ask light questions). Perhaps what I remember most from the conversation and what I found to be most extraordinary was how the naming system works in Bali. Did you know that there are only 4 names used? have 5 children? Go back to Wayan. 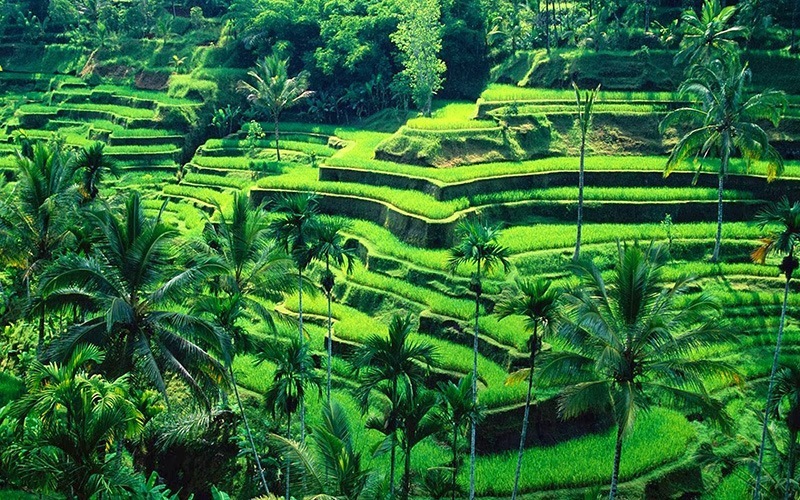 For me, Bali was so different, so lively and unique from anywhere I had experienced recently. My memories there are less from physical activities and touristic sites and more from feelings, small moments, and scraps of information I picked up here and there. It was the perfect introduction. 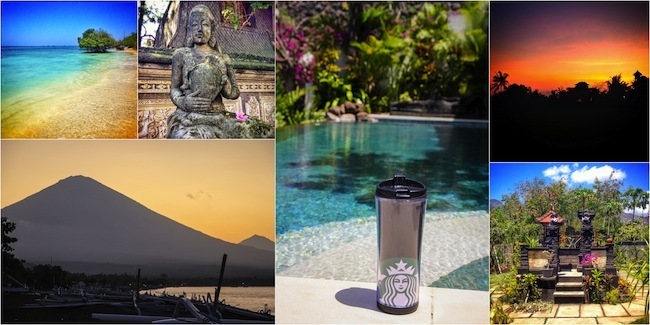 Have you been to Bali or Indonesia? 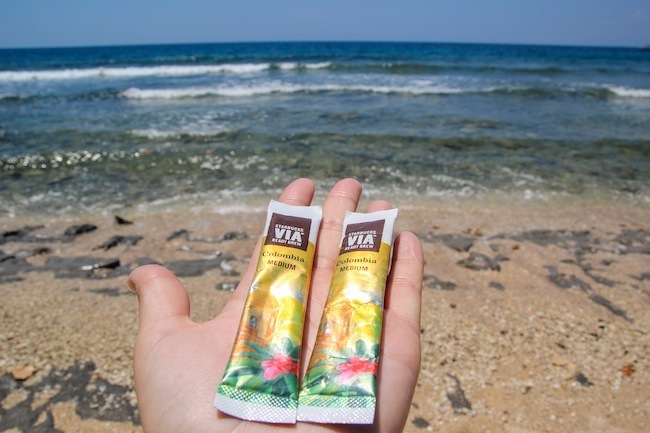 What have you learned with a stranger over a cup of coffee on the road? 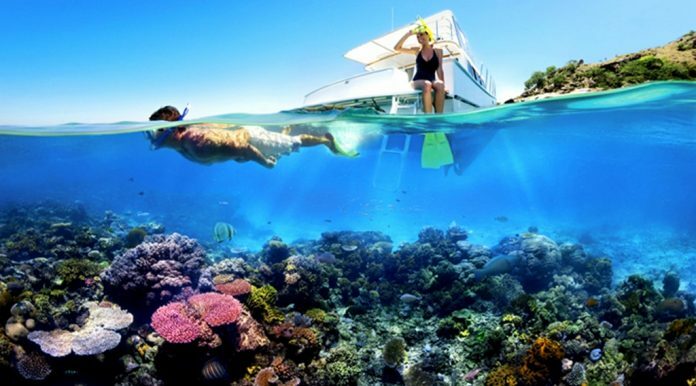 Have you ever felt the need to have a true vacation like this? 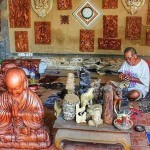 Are you looking for more top things to do in Bali: Tours, activities, attractions and other things? Let’s check it out at here.